Owing a yacht that allows moving around Mediterranean and enjoy nice landscapes and beaches is a very pleasant amusement. However, as in case of buying a villa or apartments, purchaser of a yacht will face many nuances. If investor does not know about them, then ownership of luxury and comfortable yacht will become a heavy burden. Where will be the preferred place for the registration? What taxes arise during purchase and operation of the yacht? How much does it cost to maintain it? You will find answers to those and other important questions in our article. Yachts are often registered in the jurisdictions of a so-called "flag of convenience", where registration fees, taxes, but also crew and technical standards for the ship are low and cheap. Typical examples are Belize, Panama, the British Virgin Islands, but also Gibraltar. As a British Overseas Territory, Gibraltar is a political part of the European Union. But Gibraltar is not a member of the European Common-Custom-Tariff area (CCT), which means that on tax aspects, Gibraltar is a non-EU jurisdiction. Non-EU yachts are due to full European VAT (up to 25%), if they are used for more than 6 months per calendar year inside the CCT area (this means inside the territorial waters, the so-called "12 mile zone", of any EU state with a maritime coastline!). This will be a special problem, should the primary harbor of mooring be a port in one of these states. In France and Italy, local tax officers regularly check the documents of non-EU yachts on these topics! In Spanish ports, an additional problem with the Spanish "yacht registration tax" can arise, which exists only in Spain (12-13,5%) and is charged in addition to the VAT. The above rules are applied irrespective of the yacht ownership, or who is the actual user. What only counts are the facts of location and time! Each time a non-EU yacht enters an EU harbor, extensive paperwork is required. For private persons without an EU residence, it is - in theory - possible to apply for a "temporary importation procedure", which allows the yacht to stay for maximum 18 months inside EU territorial waters and move freely from port to port. But this procedure has other drawbacks. As the yacht must leave EU waters "in the same condition as it came in", any major repair or renovation of the yacht during this period may result in full VAT liability! The "temporary importation procedure" excludes any commercial use of the vessel, which can lead to disadvantages if the yacht shall be included inside a holding structure ("active NFE"). Under the "temporary importation procedure", it is required that always at least one non-EU person must be on board! This will automatically lead to problems, if the yacht is cruising "empty" (i.e. without passengers) from one EU port to another and all crew members are EU residents. Should the yacht be found only with EU resident persons on board, the tax authorities might claim a breach of the temporary importation rules (EU directives 2913/92 and 2454/93). The consequences will be drastic: The yacht will be put under arrest by the tax authorities, until the European VAT has been paid in full. Also a non-EU individual may have a tax liability for VAT, if this person has a residence permit of any EU country with a validity of 1 year or more, even if his/her primary residence is outside of the European Union ("non-resident taxation"). For instance, a Russian person with primary residence in Moscow has a long-term residence permit for a secondary residence at the Côte d'Azur in France. Under VAT laws, this person will be regarded as an EU tax resident, even if he/she stays only a few weeks per year at the second home. But this means that the "temporary importation procedure" for the yacht cannot be applied, and the yacht must be either time-chartered (max. 90 days) or full VAT paid! As a conclusion, the registration of a yacht under a non-EU flag may save taxes and fees at the first glance. But this comes at the cost of substantial usage restrictions in European and Mediterranean waters, and a lot of efforts to monitor the maximum usage periods allowed for tax-free use. 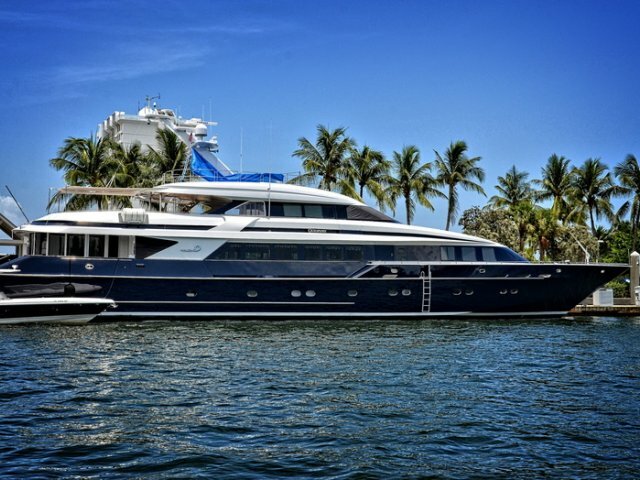 Also, in case of a later sale of the yacht to an EU buyer, VAT will be due because the sale will be an act of import into the European Common-Custom-Tariff area. This is why for a yacht, whose primary cruising region will be the Mediterranean Sea, a non-EU registration is clearly not recommendable. The mediterranean island of Malta, a souvereign state and a full EU member since long time, is located south of Sicily. It has not only very interesting laws and tax rules on ship registration, but also a reputation as a seafarer's nation since medieval times. Malta is political stable, has a secure and reliable legal system and a perfect administrative and business infrastructure. As English is one of Malta's official languages, communication both with local authorities as well as with business partners is easy and uncomplicated. The Maltese government actively promotes Malta as a "premium flag of registration" for yachts and commercial vessels and offers interesting schemes and tax options for this purpose. Malta is fully integrated into the European Common-Custom-Tariff area. A Malta-registered yacht may freely and unrestricted move around in EU territorial waters and ports. 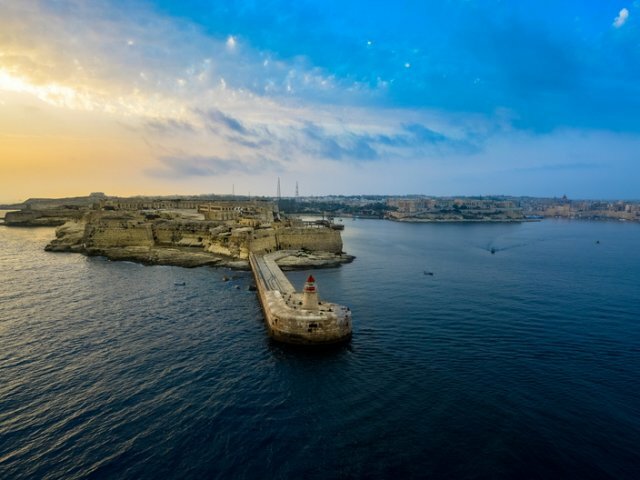 Malta has a double taxation agreement (DTA) with Liechtenstein, which makes it easy to integrate a Maltese company into a Liechtenstein-based holding structure. Malta is also suitable as a primary harbor of mooring. It's location in the center of the Mediterranean Sea allows a modern yacht to reach Spain, the Côte d'Azur, Sardenga, the Adriatic coast, the Greek Islands and Cyprus within a 24 hour cruise. Malta has competent shipyards and technical facilities for maintenance and operative support of the ship. Clear and transparent registration procedure. Registration already possible during the construction period of the yacht. Malta is regarded as a "premium quality flag" under STCW-78 and Paris MoU international shipping safety standards. This greatly reduces the risk of sudden "unexpected safety inspections" by Port State Control (PSC) authorities, when the yacht is moored at European or US harbors. Very low one-time registration fees (less than 1.000 EUR) and very low annual tonnage tax (less than 2.000 EUR) for the yacht concerned. For newly build yachts, there is a discount of 50% on the one-time fees and 30% on the annual tonnage tax for the first 5 years after registration. If the yacht is owned by a natural person directly, irrespective whether this person is a EU or non-EU resident, and then registered in Malta, the full VAT tax rate of the yacht's shipyard domicile must be paid (EU directive on "supply of goods" principle). In our case, this would be Italy, which would mean 22% VAT. If the yacht is owned by a Maltese company, some favourable rules of the Maltese tax code may be applied, which will greatly reduce the total amount of VAT to be paid. Under EU VAT rules, the Italian shipyard delivers the yacht without charging Italian VAT to the Maltese company (EU "intra-community acquisition"). The Maltese company is then responsible to tax the yacht according to Malta VAT laws (EU "reverse charge mechanism"). However, if the Maltese company will use the yacht for some kind of business purposes, like leasing or chartering out to some third party, the Malta VAT is considered as a deductible input tax, thus resulting in effectively 0% VAT for the company. In this case, not even money flows. It's simply an act of bookkeeping. Because Malta wants to attract yacht registration and yacht management into their jurisdiction, especially for larger yachts, the Maltese government developed very attractive VAT tax rules for leasing and chartering of yachts. These tax rules, which are quite unique inside the EU, are built on the idea that a large yacht spends considerable parts of its cruise time on "high seas", that means outside of the 12-mile territorial waters. Based on this tax code, several schemes are possible, in order to reduce the total amount of VAT. We will consider these schemes in details in our next article. Please, follow our news and other valuable information in investment field.